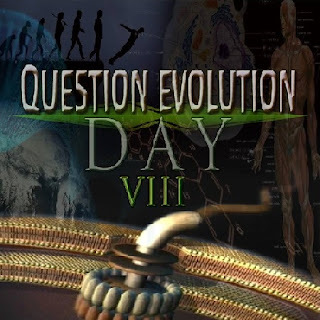 Some of the advantages of Question Evolution Day are to encourage people to use and develop critical thinking skills, have a spirit of inquiry, and develop healthy skepticism regarding scientific pronouncements. (An example of this can be found in my article on how hummingbirds "evolved" at "Hummingbirds Evolving for Combat?") Secularists get so all-fired determined to convince people of their materialistic views that they get on the prod when their depradations are brought to light. This is readily apparent in the global climate change propaganda. Scientists make pronouncements when they do not have all the facts or have an adequate understanding of the topic at hand. Yes, it is the nature of science to change and develop when new information is obtained, but when it comes to subjects like origins and climate change, they present fake science with spiteful intent despite inadequate information or investigation. Some tinhorns have made global climate change into their religion, and trying to talk sense with them is like pulling wisdom teeth from jellyfish with a frayed lariat. The same happens with Darwin's disciples who only "know" that we're wrong, and tell us so via atheistic clearinghouse propaganda sites and so forth; if you tell them something they don't have a notion to understand, these leftist apparatchiks "refute" new information with outdated agitprop — when it fits their narrative, of course. Biblical creationists are used to reading that something "happened earlier than we thought", fossils are out of order, living critters are unchanged from their fossil counterparts after millions of Darwin years (such as mites in amber), and so on. Two things that really take the rag off the bush are the false claims that humans and chimps have greatly similar genomes, and that we have "junk" DNA from our evolutionary past. Evolution is their faith-based axiom, so they do not question it. Unfortunately, evolutionists often neglect to verify data and end up humiliating themselves. It behooves (do people still use that word?) anyone who takes science seriously needs to slow down, ask questions, and wait for additional information. The secular science media are interested in making converts and especially making money on sensationalized but incomplete stories, so y'all need to holler, "Whoa!" when confronted by grandiose claims. Not how are we supposed to square that with the claims made by scientists that they are operating on the basis of objective reason, and presumably, they would never argue for something that they do not believe? That seems completely contrary to everything the scientific establishment has been telling us about the very nature of science. We are living in an age not only of modern science, but of a worldview of scientism. How in the world can they face the rest of us if they now are admitting, in this kind of academic squabble, that at least some astrophysicists are publishing articles in journals based upon theories that they pose as if believing, but actually do not believe, as this one astrophysicist said, "just to put it out there"? Excellent comment, and it fits with what we're examining about fake science. To hear or read this segment, it concludes this episode of The Briefing. God has given us minds and the ability to think, and he intends us to use them. Science is supposed to be a method of processing observations and information, not a religion in and of itself. Our Creator upholds the universe, and has explained himself in the Bible. Despite the mockeries of Bill Nye and other atheopaths, it is true and we need to find out what the Master Engineer has to say. You savvy that? I have an additional link for your consideration. To read the rest of the article, click on "Global Policies Can Trust Fake Science". 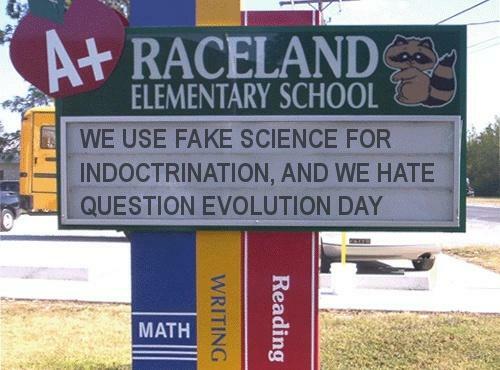 Don't be indoctrinated by secularists and their bad science. Thanks for reading this article, and for thinking.